That we must lock from eight to eight! - Adam Chodorow ‘87, during the short existence of the Ezra Stiles Chorus in 1986-1987. To be sung as a third verse to “Bright College Years”. 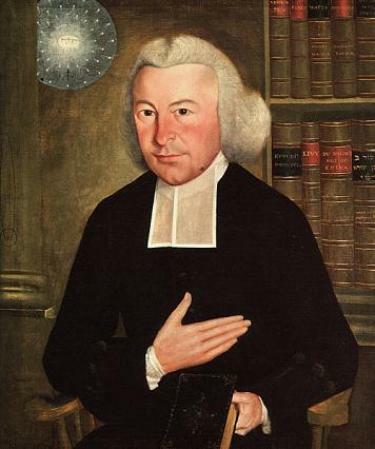 Ezra Stiles College is named to honor the memory of Ezra Stiles, Yale Class of 1746, an eminent American theologian, lawyer, scientist, and philosopher, who served as the seventh President of Yale from 1778 to 1795. The cornerstone of the College was laid on Alumni Day, 1961, and students took up residence in September, 1962. The College was dedicated the following December 7. The purchase of the land previously occupied by Hillhouse High School and Commercial High School from the City of New Haven was made possible by a grant from John Hay Whitney, Yale Class of 1926, and the construction of the College by a grant from Paul Mellon, Yale Class of 1929, and the Old Dominion Foundation. The College, considered by many architecture critics a masterpiece of American architecture, is built of rubble masonry with buildings and a tower in the style of pre-Gothic Tuscan towers such as still exist in the medieval Italian hill town of San Gimignano. 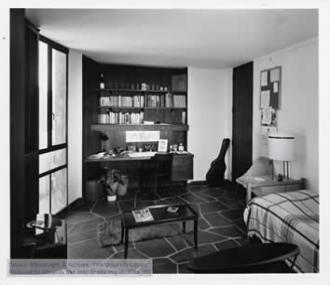 The architect was Eero Saarinen, who did not live to see the buildings completed. 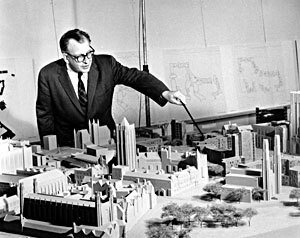 “Somehow, the architecture had to declare them as colleges, not dormitories,” he wrote in describing the plans. We have made the buildings polygonal—their shapes derived in order to provide the diversity of student rooms, to answer the needs of the site, and to give variety and sequence of spatial experiences in the courts. We conceived of these colleges as citadels of earthy, monolithic masonry - buildings where masonry walls would be dominant and whose interiors of stone, oak, and plaster would carry out the spirit of strength and simplicity. Since handicraft methods are anachronistic, we found a new technological method for making these walls: these are ‘modern’ masonry walls made without masons. The buildings of Ezra Stiles and Morse are arranged in roughly circular form around asymmetrical courts, into which they open from several levels. When first seen from the outside, they create the impression that the interior must be dark and gloomy, because of what appears to be minimal fenestration. Closer examination reveals, however, that the rooms are flooded with light and air. The initial impression of darkness is due to the fact that the windows and walls do not form the conventional patterns found in older structures. The changing configuration of lights and shadows, colorings and shadings constitutes one of the singular attributes of this architectural style and contributes to its strength, variety, and texture. The architect has provided a multitude of vistas, with each view outside the colleges enclosed in a frame of other buildings. The resulting spatial illusion generates a simultaneous sense of immediacy and distance. In the walls and standing in the courtyards are a number of molded concrete figures by the Sicilian sculptor, Costantino Nivola. Although non-representational, these sculptures invite interpretation, either profound or frivolous. Over the entry doors and in the dining hall are massive iron lighting fixtures designed by Oliver Andrews, a California sculptor. The Dining Hall is characterized by strong verticals of stone and glass, soaring thirty feet high in the interior. It has a raised stage, suitable for theatrical performances, concerts, movies, poetry readings, and symposia. In the archives of the University Library are President Stiles’s office cabinet, two walnut chairs (presented by Mrs. Stephen V. Harkness), a grandfather’s clock which he imported from England, and Mrs. Stiles’s wedding fan. His favorite rocking chair, the gift of Malcolm D. Aldrich, is in President Levin’s office. Two brass candlesticks and a tilt table that belonged to Ezra Stiles are in the Head of College’s house. Gifts to the Library of the College have included miscellaneous Stiles letters and manuscripts, his “Plan of a University” and “Inaugural Lecture,” his Yale College diploma, and books on Yale from the library of George H. Nettleton. Dean Keller’s copy of Samuel King’s 1771 portrait of Stiles hangs in the Head of College’s House. In the Fellows’ Lounge hangs a photographic copy of Samuel King’s 1782 portrait of President Stiles’s friend, Rabbi Haim Isaac Carigal, as well as a photographic copy of King’s portrait of Ezra Stiles. Coat of Arms: Sable, a fess engrailed, fretty of the field gold and sable, between three fleurs-de-lis gold and a border gold. The arms were designed by Theodore Sizer from those of Ezra Stiles, whose right to bear them was confirmed at the College of Heralds in 1785. China: The china shows, on a white field within a dark blue border, the arms of Ezra Stiles, Morse, Yale College, and the University abutting upon the sides of a square enclosing four blue Y’s. This, too, was designed by Theodore Sizer. Mace: A walking stick which belonged to Ezra Stiles, dated 1772, is carried by the College in ceremonial processions. Stiles won the 2013 American Institute of Architects Honor Award for Architecture! Rahul Kini represents Ezra Stiles the college and Ezra Stiles the man at the 250th rededication ceremony of the Touro Synagogue in Newport, Rhode Island on December 1, 2013.